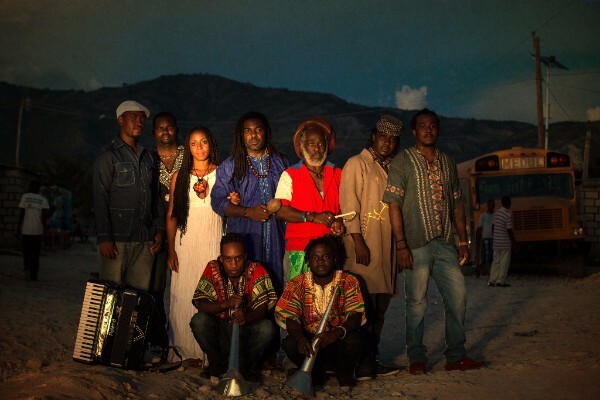 Songlines Magazine, an essential guide to the best music from around the world, has announced their picks for the Best Albums of 2016 and we are proud to see that the Cumbancha release Wa Di Yo from Haitian supergroup Lakou Mizik has made this very coveted list. The official video for “Pran Ka Mwen” was conceived, produced and directed by graduating students from Cine Institute, Haiti’s only film school. Cine Institute is a division of Artists Institute, a scholarship based school focused on growing Haiti’s creative economy through professional training in Filmmaking, Audio Engineering and Music Production. Lakou Mizik was honored to work with these talented young artists to realize this video. 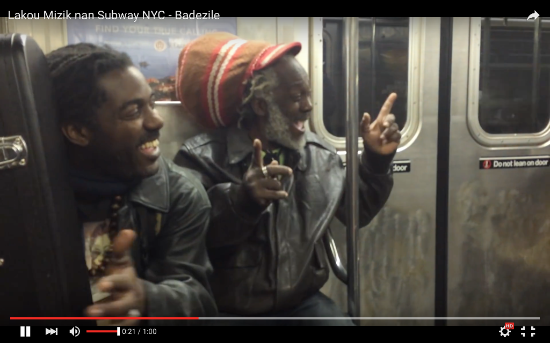 Check out videos of the band in the studio creating Wa Di Yo! Debut album Wa Di Yo to be released April 1 on Cumbancha Discovery. Formed in the wake of this unprecedented tragedy, Lakou Mizik is a diverse collection of musicians representing a cross section of generations, faiths and musical styles. 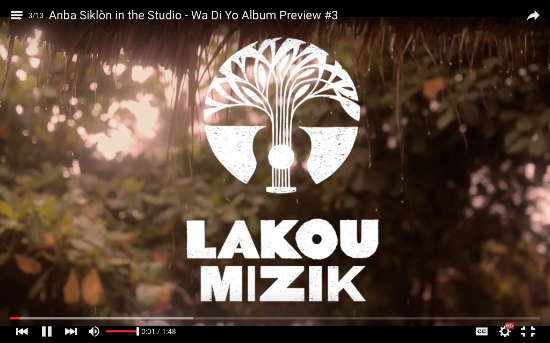 On April 1, Lakou Mizik release their debut album on the Cumbancha Discovery label, calling out to the world, Wa di yo, nou la toujou - “You tell them, we’re still here”! The idea for the band was hatched on a hot November night in Port-au-Prince in the muggy basement studio of Steeve Valcourt, a guitarist and singer whose father is one of the country's iconic musicians. Still reeling from the earthquake, a cholera epidemic raging and a political crisis with enough tire burning ferocity to close the international airport, Valcourt, singer Jonas Attis and American producer Zach Niles agreed that Haiti's music and culture could serve as an antidote to the flood of negativity. Niles, who ten years previously was part of the documentary film and management team that introduced Sierra Leone's Refugee All Stars to the world, had traveled to Haiti to explore ways in which music could help play a role in recovery and empowering social change. Niles, Valcourt and Attis assembled an exceptional lineup, creating their own musical A-Team, a powerhouse collective of singers, rara horn players, drummers, guitarists and even an accordionist. Two veteran music producers joined the group to help create their debut album: Chris Velan, a Montreal singer-songwriter and producer responsible for producing two albums for Sierra Leone's Refugee All Stars, and British producer Iestyn Polson, famed for his work with David Gray, David Bowie, Patti Smith and others. The resulting album reflects the African, French, Caribbean and U.S. influences that collide in Haiti. The spirit-stirring vodou rhythms and call-and-response vocals are supported by the French café lilt of the accordion. Intricate bass lines and interlocking guitar riffs mesh mesmerizingly with the joyful polyrhythmic hocketing of rara horns. These powerful layers are topped by sing-along melodies with inspiring, socially conscious lyrics. The end result is a soulful stew of deeply danceable grooves that feels strangely familiar yet intensely new -- and 100% Haitian. In Haitian Kreyol the word lakou carries multiple meanings. It can mean the backyard, a gathering place where people come to sing and dance, to debate or share a meal. It also means "home" or “where you are from," which in Haiti is a place filled by the ancestral spirits of all the others that were born there. Each branch of the vodou religion has its own holy place, called a lakou, where practitioners may come together in the shade of a sacred Mapou tree. 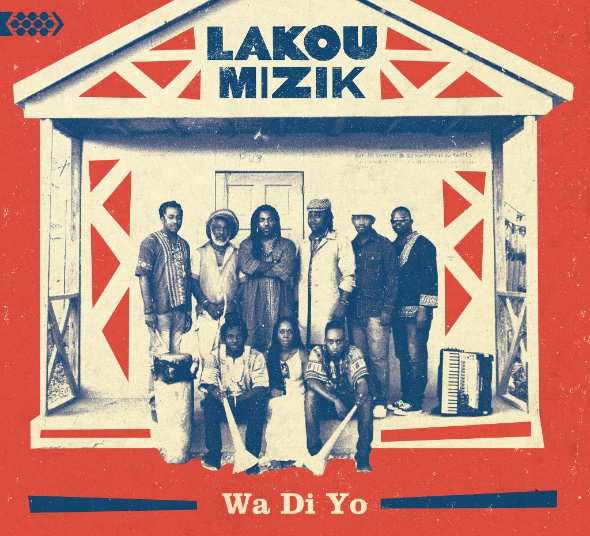 With Wa Di Yo, Lakou Mizik invites listeners to join them in their lakou, to share with them the historical depth, expressive complexity and emotional range of the Haitian people. Emerging from one of the darkest periods in the history of a country with many dark periods, Lakou Mizik presents a feeling of joy, hope, solidarity and pride that they hope will serve as a beacon for a positive future in Haiti. Press materials, photos, biographies and more available at www.cumbancha.com/lakoumizik/press.